Icons identify the data that the product is capable of transferring. Matching icons indicate which sensors and displays will work together. Determine the data you want. Match icons of various sensors and displays. For example: A heart rate strap will send heart rate data to any ANT+ product that displays heart rate data. Visit the ANT+ Product Directory to find available and compatible products. ANT+ Audio Control acts as either an audio player or remote control. For example, a watch could act as a remote control for a digital music player. The control device interacts with the music player to Play/Pause/Stop the music, adjust volume or change the track. The audio device constantly updates the remote control with information about the music playing such as current track number, volume level and current state of the music player (Playing, Paused, or Stopped). An ANT+ Blood Pressure Monitor measures a user’s blood pressure, stores recorded data, and forwards the information to another device. It also has the ability to handle multiple users and their associated user profiles meaning it can remember their personal data. The collection device - which could be a cell phone, PDA or computer with internet access - will store, display and possibly track the data received from the blood pressure device. When the information is transmitted to a collection device, it can then be sent over the internet to a database for storage. For example, the blood pressure measurements can be stored in an application like an online health database or at a health professional’s office. An ANT+ Continuous Glucose Monitor (or CGM system) is a personal monitoring device that uses wireless technology to collect glucose readings from a small sensor inserted under the skin. The sensor measures glucose levels in interstitial tissue fluid, which provide an indication of blood glucose levels. An ANT+ Dropper Seatpost device is a device that enables a user to wirelessly lock and unlock the valve on their dropper seatpost so the seat height may be manually adjusted without the need for a hydraulic or pneumatic controller on the handlebars. An ANT+ Extended Display is a remotely configurable display device. A user can configure the Extended Display device through a paired ANT+ Data Aggregator. A Data Aggregator gathers information from ANT+ sensors it is paired to, and passes that information along to the Extended Display device to display on a specific screen in a specific format. Extended Display devices can be configured to display numerical, graphical, and textual data. A Data Aggregator may also send alerts such as navigation prompts and training alerts to a paired Extended Display device. ANT+ Fitness Equipment allows a user who is wearing an ANT+ device like a watch to link their device to any ANT+ enabled piece of fitness equipment such as a treadmill or stationary bike. The profile information from the user is automatically imported to the fitness machine. The machine recognizes the user profile and executes a specific workout based on the information transferred. The resultant workout data is automatically sent back to the device (watch) for archiving/analysis. FE-C or ‘fitness equipment – controls’ enables real- time wireless control of fitness equipment resistance settings. An example would be an audio/visual simulation or a game displayed to a user which controls the intensity of the workout the user is executing. The speed of the simulation display is also typically adjusted in real-time to match the speed at which the user cycles, rows, runs etc. Any generic controllable ANT+ device (bike computer display menu, appliance, actuator, etc.) can be controlled by a compatible ANT+ remote control. The generic controllable device will broadcast its state (on, off, etc.) and battery levels to all remotes. An ANT+ Geocaching tag is a small beacon tag that is typically hidden outdoors that emits a periodic signal. Users use a GPS display such as a cell phone to follow provided GPS coordinate clues to locate the vicinity of the tag. Once within RF range of the display unit the tag will communicate with the GPS unit giving further clues to its location. After the tag is discovered by the user the tag retrieves user information for historical storage and passes information for the next location clue back to the display. This tag concept can also be used as a positioning beacon for monitoring warehouse personnel and as a point of purchase beacon for advertisers in a retail setting. An ANT+ Light Electric Vehicle is comprised of a battery powered electric motor that uses sensor inputs from the action of pedaling to vary the amount of assistance added to the motor. 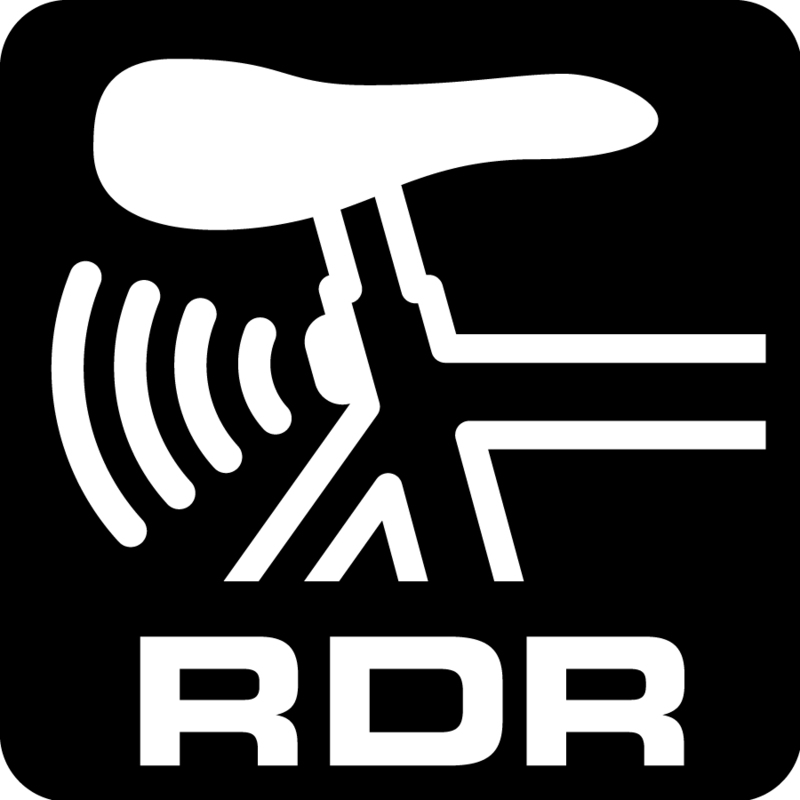 The rider can control the assistance or resistance through a display unit on the bike. The display shows the battery life and estimates the distance before the battery runs out. An ANT+ Multisport Speed and Distance Monitor is a personal device that allows the user to measure the distance travelled and computes the speed at which they are traveling. Unlike stride-based systems, this class of sensor may use satellite positioning, radar, or other technologies to measure the distance travelled, allowing multisport monitors to be used for a wide range of activities with varied user motion and speed ranges. A sensor that detects vehicular threats to a bicycle rider, and reports it to the user on a display. Threats are detected in real-time, and displayed according to their threat-level, speed, and distance to the bike rider. An ANT+ capable shifter is a bicycle gear shifting system that wirelessly reports its current gear position and other relevant information to a display. An ANT+ bicycle suspension system can be controlled and monitored wirelessly by the user while they are riding their bike. An ANT+ compatible handlebar remote can be used to control different locking modes of the suspension system depending on the terrain. Compatible ANT+ displays may also store the suspension system's status throughout the ride for review. An ANT+ asset tracker is a device that is able to gather information about the location, distance, bearing, and status of multiple assets, and transmit that information to a receiving display device. An asset tracker also transmits identifying information about each asset such as its name and color, as well as status information about each asset such as whether the GPS signal has been lost for the device, if its battery is low, or if it should be removed from the display. An ANT+ video recording and/or video playback device can be wirelessly controlled by an ANT+ remote control or phone application. The user can send commands from the remote to the video recording device to start recording, take photos, etc. A video playback device can also be wirelessly controlled to play, pause, stop, etc. The video recording/playback device will report its state (recording, stopped, playing video, etc.) to the remote, its battery level and memory status. In addition, remotes can request the video device’s capabilities for consistent compatibility. An ANT+ Weight Scale is primarily used to measure the weight of the user that is placed on it. If the scale has access to more specific user information such as height and gender, the scale may be able to calculate user specific information like body mass index (BMI). Many scales also have the ability to remember multiple user profiles. The data collected from the weight scale can be displayed on a device like a watch or cell phone, a stationary display wirelessly mounted near the scale that can be accessed by multiple users or stored in a data base for later analysis.